A few weeks ago, a coworker had a scenario where he was trying to import a large amount of data into some format (I think it was JSON, but I think it was a special limitation… that isn’t really important to the solution), and it didn’t allow certain characters. Narrowing down what the bad character was, was proving to be a hassle. This reminded me of a solution that I had used back when I first had gotten into the whole numbers table thing. Using a number’s table, you can break down every value in a column into one character per row, and then do some analysis. In our case, I want to find a bad character, by eliminating known acceptable characters. For an example, I am going to take a fresh version of the WideWorldImporters database, and look at their Application.People table. The Fullname column contains characters that are not in the US centric characters, and can cause some, poorly written, pieces of software to fail. To start with, we will create a number table, with basically contains 1 row for every number from 0 up. We will load it up to 999999, not that our strings will be that long, but this is a typical good size for most uses of a number table, and you can increase that pretty simply by adjusting the query. If the output isn’t 1000000 rows, starting at 0 and ending at 999999, then something is incorrect in your configuration. Otherwise, let’s move on to the using this data. I believe these characters are there just to make it fun to use the WideWorldImporters database, but of course, this is a good thing when you are testing/demonstrating software. 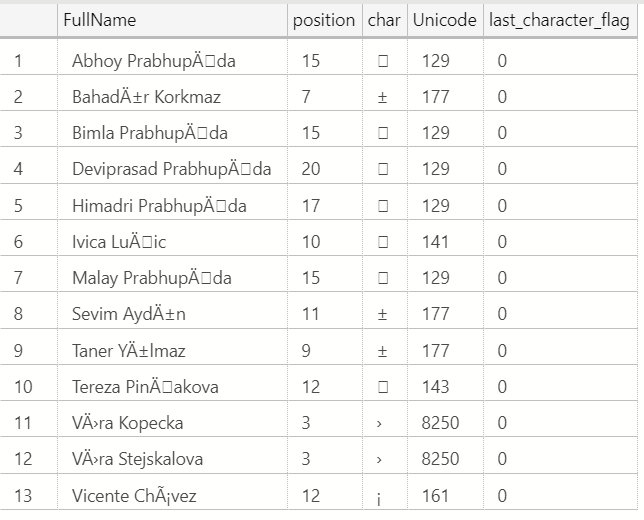 Now, once you have this base set of data, with the characters now each on their own row to work with, you can use this query in a CTE and look at some “interesting” details about the characters in a set. What is the most used character in the English language? The Internet tells me that it is e, but in the People.FullName column, it is the lowercase letter a, by a large margin. As for performance, I have use the version of this query to search through rows with millions of rows, with an average of 20 or so characters per value with very good performance. 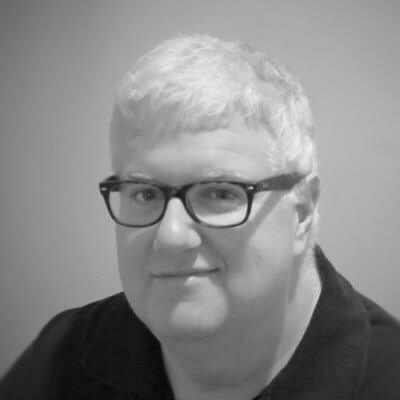 Aggregating the number of characters that were used in the strings was, on my Surface 4 laptop, notably laggy, taking around 10 seconds as opposed to sub second response to return the 13 rows using the characters that were not in the typical set of 26 letters, 10 numbers, – and space. Your mileage certainly may vary, so test, test, test.